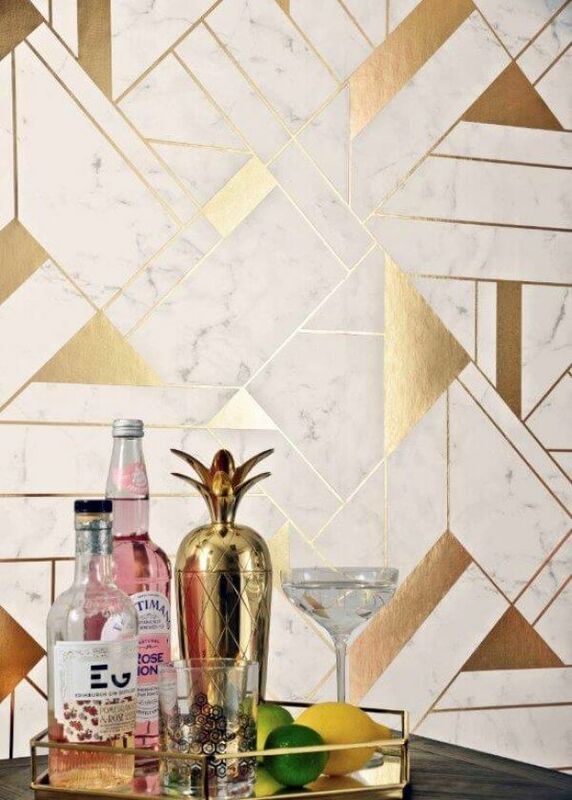 New from the Mayfair range is this Great Gastby style geometric wallpaper design 'Islington'. 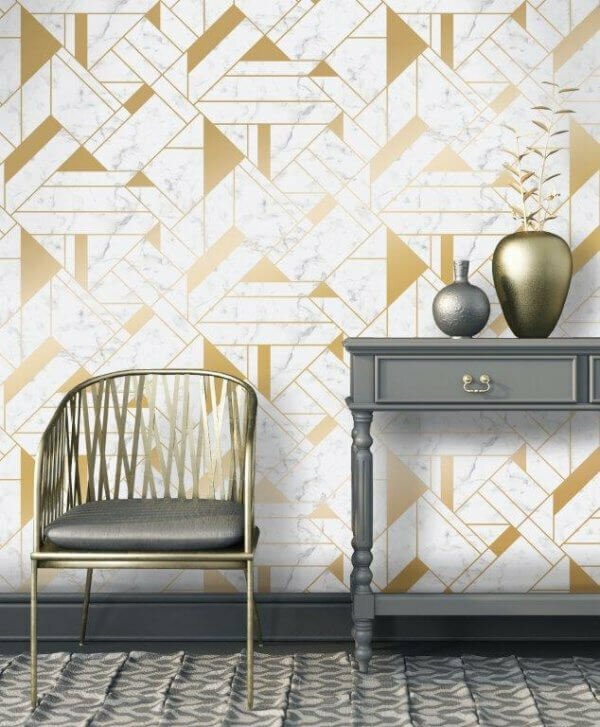 New from the Mayfair range is this Great Gastby style geometric wallpaper design 'Islington'. 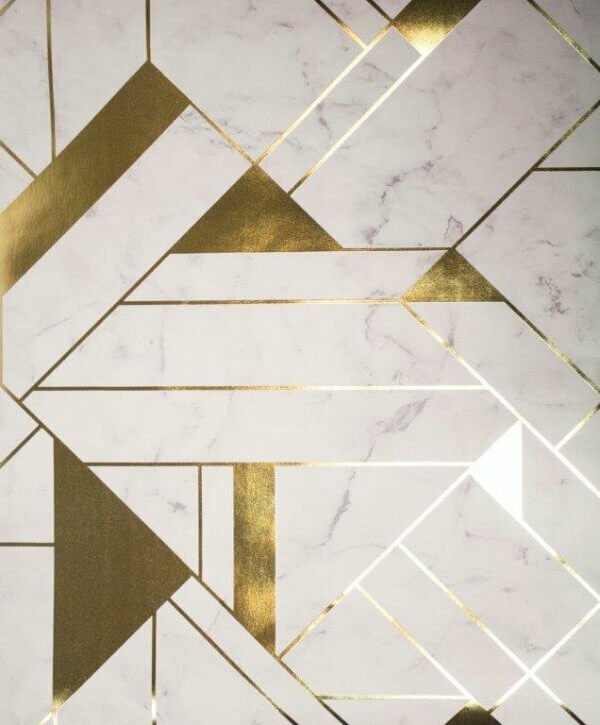 A geometric print styled like its from the fabulous 1930's and finished in a metallic gold foil overlaid onto the subtle marbled background design makes this wallpaper a fabulous addition to any home. As a washable vinyl you can use it in any room in your home and its sure to become the talking point of any room!